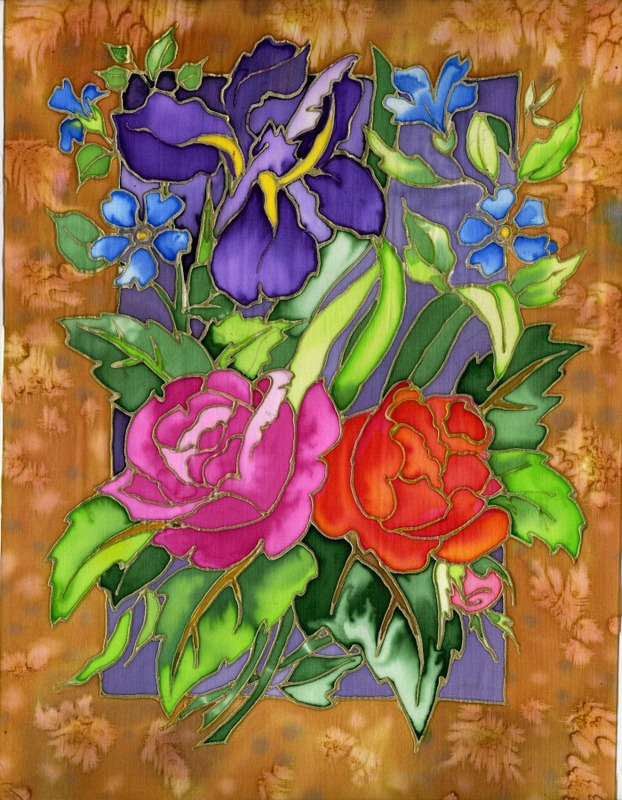 Painted on Silk. 20 x 16"
Iris and Roses. 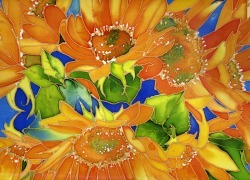 Painted on silk. 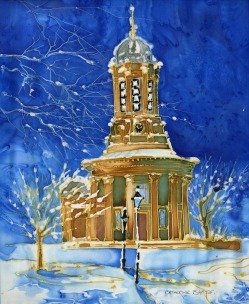 20 x 16"
Saltaire church in the snow, painted on silk. 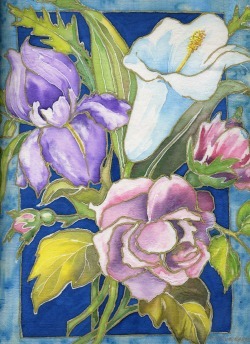 20 x 16"